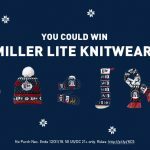 Enter the Coors Light NER Holiday Sweepstakes starting on November 1, 2018 for your chance to win one of 100 pairs of Coors Light-branded skis. During the Sweepstakes Period, log on to https://digitalbeerpromo.com/sw2/MC2948 and submit his/her date of birth and ZIP Code. Then, register by entering the information requested on the registration form. Upon completion and submission of the registration form, you will receive one entry into the Sweepstakes. Coors Light NER Holiday Sweepstakes is offered only to legal U.S. residents of Connecticut, Delaware, Maine, Massachusetts, New Hampshire, New Jersey, New York, Pennsylvania, Rhode Island, and Vermont who are at least 21 years old at the time of entry. Begins at or about 1:00 PM ET on November 1, 2018 and ends at 11:59:59 PM ET on March 22, 2019. 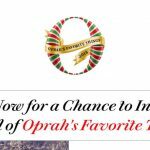 Each entrant is limited to receiving one entry per day during the Sweepstakes. To enter now, visit URL or see official rules for details.